The affordable iPad is currently on sale at Amazon, where you can purchase the 9.7-inch tablet for $289 for a limited time. The same device usually retails for $329 from most retailers. 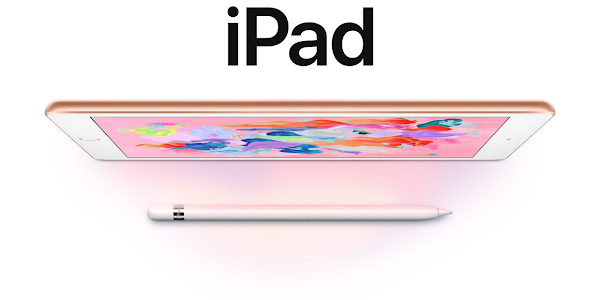 The Apple iPad 9.7-inch 2018 features a 9.7-inch display, up to 128GB of internal storage, an 8-megapixel rear camera, 1.2-megapixel front camera, option LTE connectivity, a Touch ID fingerprint scanner, and is powered by the Apple A10 chipset with 2GB of RAM. It also features support for the Apple Pencil, which you will have to purchase separately. Amazon also has the 128GB model on sale, which is priced at $389.99 compared to its regular $429 price. The 128GB model with cellular connectivity is also available at a discounted price for anyone interested. If you are interested in picking up an affordable Apple tablet in time for the holidays, grab an iPad from Amazon while this deal lasts.